Tips for success in soccer matches. Arrive early, park your car wisely (don’t allow yourself to be blocked in), be dressed in a clean and proper uniform, inspect the field and surroundings and tend to administrative details early. Those are all wise tips. Here are a few other things to remember to do. Hold a thorough pregame. 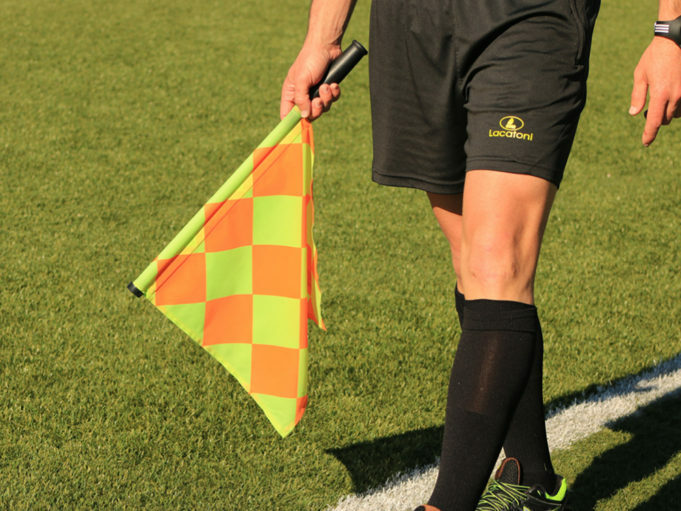 Either while walking around the field to inspect it or while watching the teams warm up, hold a pregame with your referee partners. The extra time spent before a game discussing various mechanics, strategies and philosophies is invaluable — even if you’ve worked with your partners before. You’ll avoid problems during a game by discussing them before it. Watch players warm up. Watching players during warmups allows you to do several things. You’ll see which player might be in a bad mood — just got a poor grade in school or had a fight with the spouse. You’ll see who is exclusively left-footed or right-footed. You’ll see who is shooting — and connecting — from 22 yards out, right near the penalty arc. You’ll see who is taking long practice throw-ins and who is taking corner kicks — inswingers or outswingers? All of those things help you make better positioning decisions. You’ll also see how the teams cooperate in sharing the field (might presage a willingness or an inability to cooperate during the game), whether the practice is player-led or coach-led (gives some idea of whether the coach is intrusive or quiet), etc.